Well, well – even if you are not familiar with the real thing, chances are that even your mother is familiar with Baz Luhrmann’s musical romantic comedy Moulin Rouge from 2001, which is based on the French institution set against the Montmarte quarter of Paris, France, the large hill (before it was Gallicized, the name was derived from Lain “Mons Martis”, i.e. “the mount of mars”) in Paris’ eighteenth arrondisement. 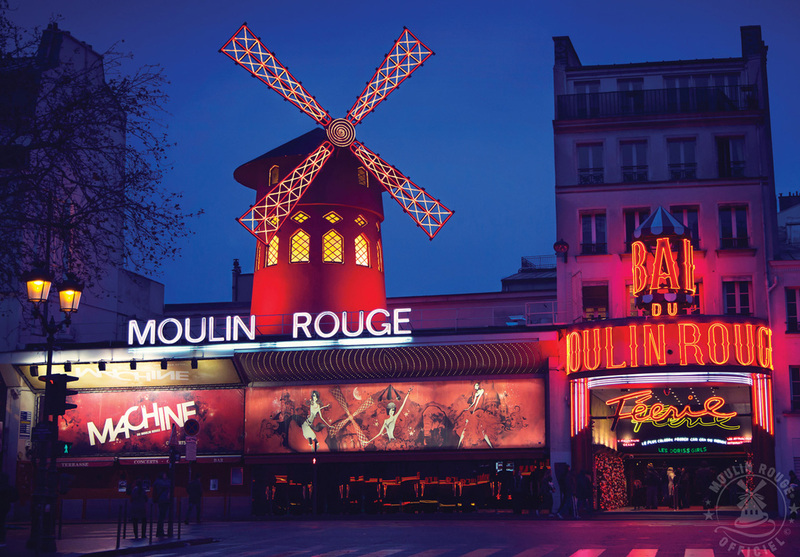 Once in Montmarte, you can see the red windmill of the spiritual birthplace of the can-can dance, i.e. high kicks. Cartwheels and splits galore, from far off. Féerie! is comprised of a troupe of eight artists, including sixty dancers, i.e. the graceful Doriss Girls recruited from around the globe with them sporting over one thousand traditional sumptuous revealing costumes of feathers, rhinestones and sequins, created in Parisian workshops serenaded by a soundtrack that was recorded by eighty musicians and sixty chorus singers and set against formidable fin de siècle stage sets that are informed by the cultural exuberance of the belle épogue. Moulin Rouge in 2018 is the epitome of French musical, cabaret and dance tradition which has effortlessly survived multiple tests of time with carefully calibrated and executed entertainment on a big scale, making use of every inch of the stage and beyond. A tableau of colourful costumes, beautiful dancers and exotic stage sets with attention to detail unfolds as you sit back and enjoy the proceedings with a bottle of champagne. Now, I mentioned that use is made of every inch of the theatre and I was not exaggerating: We are talking the stage transforming itself into a pool with huge, live snakes, dwarf ponies parading the stage, elaborate acrobatics, comedy and aerial acts, some of which are reminiscent and would not be out of place within the confines of more elaborate Cirque du Soleil performances. While there might be the notion that Moulin Rouge is a tacky dance show, it could not be further from the truth: The acts are tantalizing yet classy and there is nothing sleazy about them. There is equal gender opportunity when it comes to the performances, with both male and female dancers putting on performances for everyone to enjoy and the enjoyment the constituents are radiating translating seamlessly to the audience. A visually impressive, tasteful and entertaining celebration of life that despite its grand scale caliber does not feel fabricated and should be experienced at least once a lifetime!